One of Italy's foremost wine regions, Veneto is located in the north-east, the area home to the glorious sinking city of Venice and the romantic jewel that is Verona. Less than half of the wine produced in Veneto is able to be labelled with the Italian quality mark of DOC, with large quantities of IGT or table wine produced here, making it an important region for quantity. 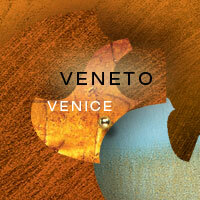 Veneto is home to the red Valpolicella, Bardolino and Amarone, as well as the white Soave. Here, you will also find the over-delivering sparkling Prosecco wines, made in Conegliano-Valdobbiadene, that are causing the rest of the world to sit up and take note.